With spring’s early heatwave upon us, denim is an easy go-to fashion staple. It’s one of the biggest fashion trends of this season, and most of the designers have used it in their main collections. Here are some of the pieces that I particularly like, in Denim: The Fashion Director’s Cut. 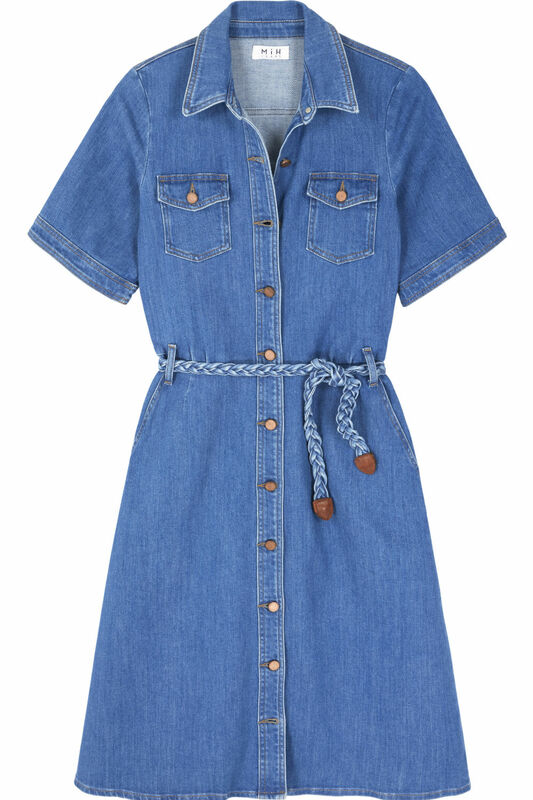 The MiH 70s-inspired denim dress is one of my absolute favourite pieces of the season. You can wear it with a flat sandal or if you are not quite ready to get your feet out, try it with a pair of block-heel suede ankle boots. It is an incredibly flattering shape that will suit lots of body types. Also loads of fashionistas have been spotted wearing this dress already! I have already chosen my white denim jeans for spring, but this white denim pencil skirt from IDA is a great piece to have in your wardrobe as a workwear staple. You can either wear it with a simple T-shirt or a crisp shirt tucked in, and it would also look great with a flat or a low-heel strappy sandal. This is the denim skirt this season, the knee-length pencil is a great fashion statement and easy to style with a fitted jacket. 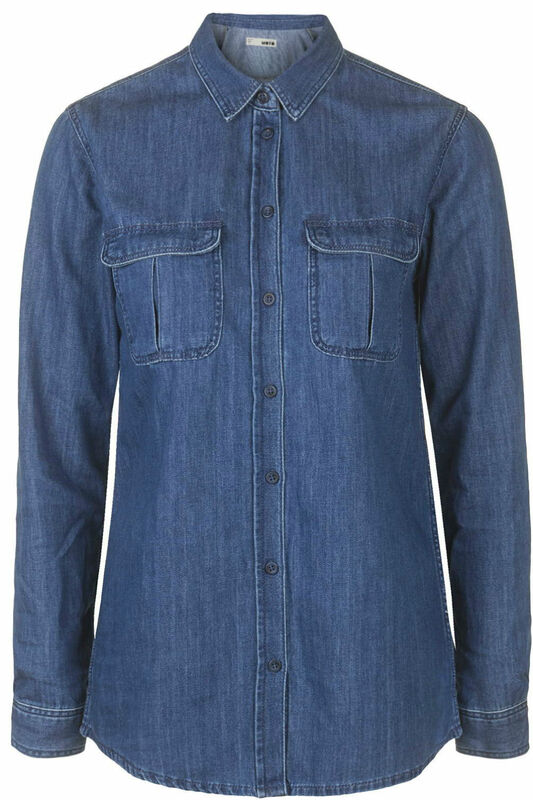 I love this denim shirt from Topshop – it’s just the right colour blue. It would work well in a double denim look with jeans or a skirt. The utilitarian feel of it is key for SS15 and adds great structure. All three of my denim choices are perfect for workwear fashion.